In this interview series we let our members take the spotlight! Today, we are talking to Zeljka aka Ms Z., a Croatian expat now living in Kathmandu. She joined her husband in Nepal only very recently and has started blogging about her relocation on The Roofs of Kathmandu. Please tell us a little bit about yourself. Who you are, where you come from, when you moved to Nepal, etc. I am a Croatian woman, and I have been in a long-distance relationship with my Nepali husband for several years. We were trying to come up with the best possible way of actually living together, and Nepal seemed like the ideal option at the moment. I quit my job in Croatia, packed my belongings, and moved to Nepal in June 2013. I have always been into blogging and have had several blogs on different topics so far. But when I decided to move to Nepal, I figured blogging about it would be a great way to document all my adventures, keep in touch with my friends and family, and maybe help someone else who is going through the same or a very similar experience. Up until now, most of my posts regarding my move were written before I actually arrived in Nepal. So far, I have two favorite posts I wrote after coming to Nepal. The first one, whivch describes my trip from Croatia to Nepal, is dear to me because it portrays how much I was anticipating my new life and how much I looked forward to seeing my husband after a long time. The second one was written as I finally settled in and felt enough at ease to go out and do things on my own. It was a sign for me that I am ready to call Nepal – home! Tell us about the ways your new life in Nepal differs from that back home. Did you have trouble getting used to the new circumstances? Did you experience culture shock? In Nepal, the biggest change so far is the fact I don’t have a job (yet). I am used to working and living an independent life, so staying at home is a huge change for me. That calls for a lot of adjustment, but remembering the reason why I am in Nepal in the first place (to live with my husband) makes it easier for me to accept this new situation. Culture shock is an inevitable part of any move, no matter where you go, close or far. Knowing that it’s something that will eventually go away helps you deal with it. 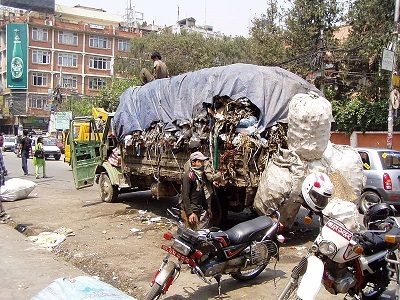 Nepal always shocks me with the amount of trash you see outside in the street. That is one of the things I have trouble getting used to, and it might be one of the main reasons for the culture shock. Another thing that I am having a hard time accepting is the inconvenience of everyday life in Nepal. I am used to just going to the nearest store and picking up stuff when I need it, but it’s not that simple in Nepal. Oftentimes you need to have other people do it for you, and due to the language barrier, that sometimes turns into a huge hassle. 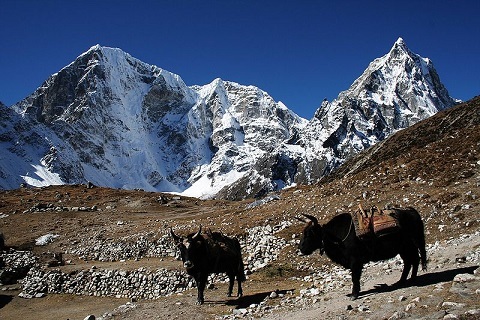 Do you think you were fully prepared for what awaited you in Nepal? If you could, would you change some decisions/preparations you made? Since I visited Nepal before, I was pretty much ready for whatever awaited me. I have not yet experienced anything that would’ve made me question my preparations or decisions. I went saree shopping with my mother-in-law, and in the shop we were given some masala tea to sip while we shop. The cups were so dirty and the tea looked very sketchy, which made me feel convinced that I would end up in hospital with typhoid fever after drinking it. I didn’t want to offend the shopkeeper, though, nor embarrass my mother-in-law, so I pretended to be drinking the tea, when in fact I wasn’t. When my mother-in law-commented on how tea was too sweet, I jumped on the opportunity and agreed, saying that it was indeed so sweet that I could unfortunately not drink it at all. With relief, I set my cup aside – and no one took offense! Which three tips would you like to give future expats before they embark on their new life in Nepal? •	Prepare yourself for dirt, trash, smog, traffic congestions and pollution. If you expect the worst, you won’t be disappointed when you get here. •	Learn some basic Nepali. It will definitely come in handy. Don’t expect everyone to speak English here. •	Come with an open mind. Nepal is a land of wonderful people and some amazing sights, but be ready to get frustrated on a daily basis with some small inconveniences. How is the expat community in Nepal? Did you have a hard time finding like-minded people or fellow expats? I have not been here long enough to make any connections in the expat community, but I have noticed that the community is quite large. 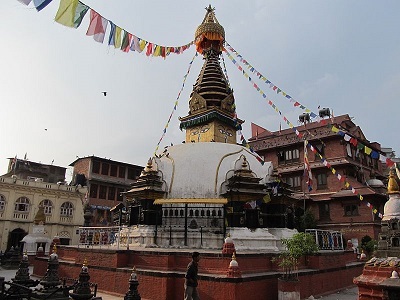 Kathmandu is a small city, and most expats hang out in the same places, so I imagine it will be easy to find like-minded people. How would you summarize your expat life in Nepal in a single, catchy sentence? It’s scary but amazing and I can’t seem to get enough of it!